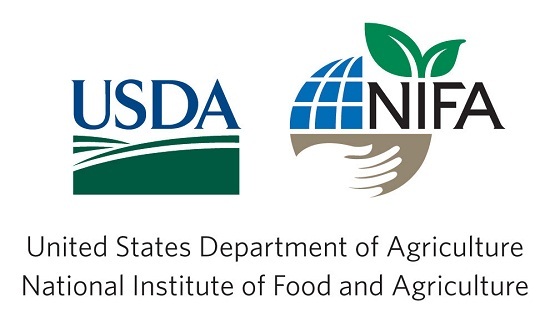 The Excellence in Education for Food, Energy, and Water (E2FEW) project at the University of Nebraska-Lincoln (UNL), funded by a USDA-NIFA Higher Education Challenge Grant (award #1011948), will support the development, implementation, and evaluation of a 24-month sustained professional development program for postsecondary food, agriculture, natural resources, and human (FANH) sciences faculty. The program will complement and synergistically enhance the impact of the recently-established Food, Energy, and Water in Society (FEWS) undergraduate minor in the UNL College of Agricultural Sciences and Natural Resources, which will serve undergraduate students from across the university and provide integrated, multidisciplinary, learner-centered instruction in the FANH sciences with an emphasis on FANH science-informed decision-making about FEW issues. The faculty development program is designed around core tenets of effective undergraduate STEM instruction, including active learning, scientific teaching strategies, and the use of Undergraduate Learning Assistants. The goals of the program, which will be rigorously evaluated as part of the project, are to a) increase implementation of innovative curricular and instructional components into existing FEWS minor courses and, through changes to these courses, b) positively impact students’ learning of FANH sciences. This project leverages institutional investments in the Science Literacy Initiative and Nebraska Collaborative for Food, Energy, & Water Education in UNL’s Institute of Agriculture and Natural Resources, is directly aligned with USDA-NIFA’s HEC Grants Program goals, and is grounded in state, national, and international STEM education reform efforts focused on food, energy, and water systems. The project will catalyze a self-sustaining community of practice for instructional innovation around the FEWs minor and lay the foundation for future efforts to scale and evaluate the minor’s impact. Stay up to date with current news associated with the E2FEW project here. Amie Sommers – Amie Sommers is currently a Ph.D. student in the School of Natural Resources at the University of Nebraska-Lincoln.